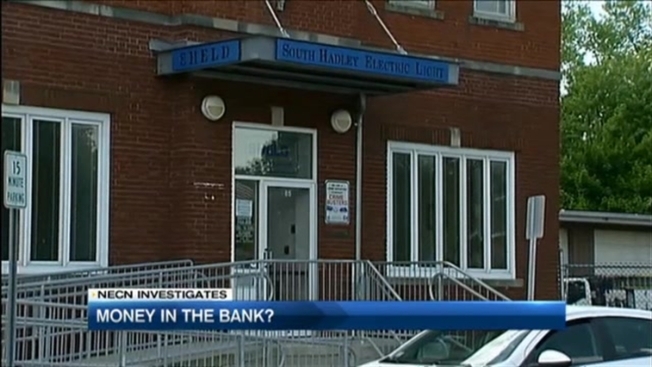 NECN INVESTIGATES: Money in the Bank? Massachusetts Inspector General Glenn Cunha is weighing in on a small-town battle. Wayne Doerpholz started working for South Hadley Electric and Light as a teenager and worked his way up to general manager. He claims over his 35-year career, he earned, but didn't use, more than 3,200 hours of vacation and more than 3,500 hours of unused sick time. He's demanding a cash payout of $471,071.26. "That's a lot of money," said Anne Awad of the Municipal Light Board. "It's a lot of money." In a letter to Awad, Cunha warned, "Paying Doerpholz money that is not owed to him would be a waste of public funds." Doerpholz doesn't work for the utility anymore. The town didn't renew his contract, which ended Tuesday, and he was already on paid leave after being named in a federal whistleblower lawsuit. Awad says the utility has been mired in a legal battle for months. "We will follow the law. We will pay what we have to pay and we will move on," said Awad. Cunha cannot tell the public utility what to do, but says his office analyzed Doerpholz's contract and the Light Department's policies and found he is entitled to a maximum unused vacation payout of $15,149 and no money for unused sick time. "This Office has found significant evidence that challenges the legitimacy," Cunha wrote of Doerpholz's claim in the letter. Doerpholz did not return necn's call or come to the door at his South Hadley home Wednesday afternoon. He is claiming employees are allowed to bank unused vacation time indefinitely, but according to the IG, there are strict limits. Doerpholz also claims he earned 1880 sick days and should be paid $247,000, but Cunha says even if he was eligible for that time, Doerpholz's math is off by more than $100,000. Awad insists customers won't see their rates go up, no matter what they have to pay out to Doerpholz, but it could sacrifice projects that would benefit the town. It's unclear why the IG's office stepped into the Doerpholz fray, but Awad says a larger investigation into the utility may be at play. She says inspectors came and took "mountains of documents." As for Doerpholz, Awad says the inspector general's letter bought them more time, but it could be months before the utility's lawyers decide what to do.